Yarn, including the luscious Malabrigo, just waiting to be knit up…I’m thinking BPT from knitty for the Malabrigo. I swear I’m not trying to copy you, Rebekkah! Various WIPs, all sadly neglected. Boohooo. But! I have finished a couple of scarves – the brioche alpaca one, and the black cashmere one! Really feeling the scarves lately. That means I’ve settled on the scarf version of Clapotis in the Ultramerino seen above! 2 skeins Inca Alpaca Sport, 6.5 mm needles, 16 stitches (I think). 1 skein Handmaiden 4-ply cashmere in black, 4 mm needles, mistake rib. 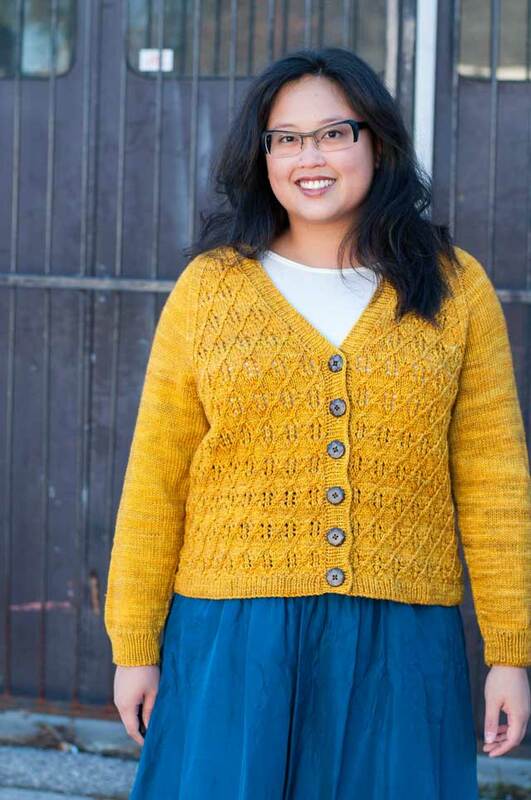 Here it is finally – the pattern for the Cavern Cardi. 1) How do you pronounce “malabrigo”? I sell the stuff, I should maybe learn how to say it! 2) What should I make with this lovely lone skein of Ultramerino? I was originally going to do a pair of purdy socks, but I want to be able to wear this every day and show it off! So my other ideas include a scarfy Clapotis like Jessica’s or a pair of mittens. What you do think?